The war-torn world of Elënthiá is deftly brought to life in The Draconean, book one of a fantasy trilogy by twin brothers, Jake and Luke Reaume. Circumstance unites and hardship cements the friendship of human/Elven Forsair, a two thousand year Draconean immortal, his 16-year old human apprentice, and the High Prince of the Gor'eans as they lead the Resistance against an evil warlord in a race to find a hidden treasure and unravel a map to a long-forgotten city. 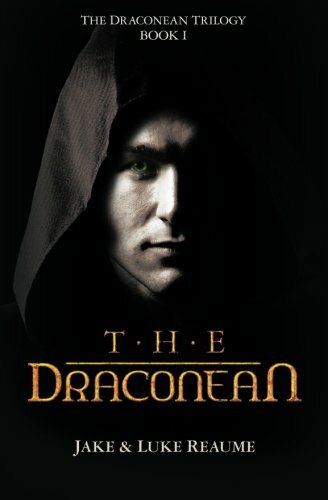 Beautifully written and masterfully told, The Draconean brings this fantasy world to life in colorful detail with depictions of war and intrigue, of politics and suspense so richly woven that readers will feel as though they are part of the magic and mystery of this ancient land. The races are original and the characters are imbued with the kind of strength of purpose, courage, and hope that immediately draws you in. This page-turner is part adventure, part fantasy and so original that it's unforgettable.